Party Animal was founded in 2006 by Daryl and Shawna Abrams in California. The company manufactures dog and cat food and describes ingredients as organic and wholesome. The products are made in small batches and are sold in cans. Brand line includes: For dogs: Cocolicious Wild Caught Salmon, Cocolicious Wholesome Duck, Party Animal Original Heavenly Venison. For cats: Party Animal Original Organic Tom Cat Turkey, Cocolicious Lamb & Wild Caught Salmon, Party Animal Original Darling Duck. 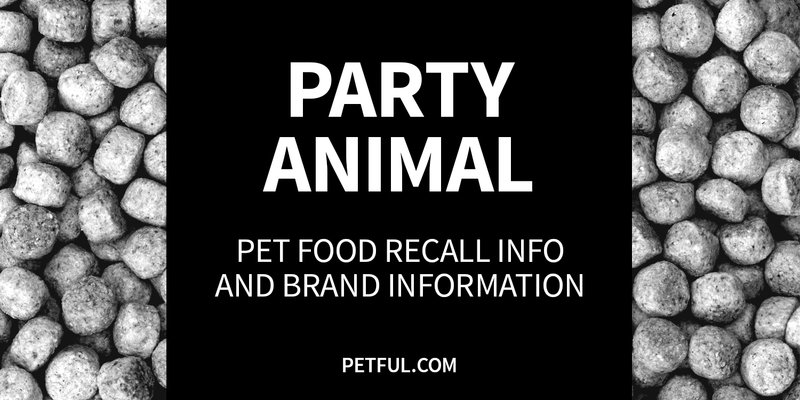 Has Party Animal Ever Been Recalled? Yes. In spring 2017, the company recalled 2 beef varieties of Cocolicious canned dog food over concerns about the food possibly containing pentobarbital. The company later filed a $20 million fraud lawsuit against Evanger’s Dog and Cat Food Co. Inc., which had manufactured those products on Party Animal’s behalf. The full details of all Party Animal recalls appear below. Have You Had a Problem With Party Animal?